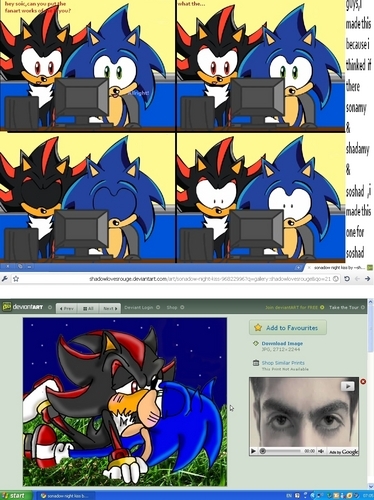 shadow+sonic=love?. please zoom the picture to watch más clear,but shadow dicho soic not sonic xD. HD Wallpaper and background images in the shadow el erizo club tagged: shadow the hedgehog sonic the hedgehog drawing.